**Edit: Several readers were unable to find the Hershey’s coupon, so it looks like this deal will not work for readers in the Portland area. Everyone needs some chocolate. 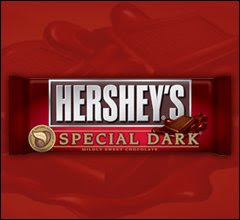 Go to this post at Coupon Cravings to find out how to get free Hershey’s Chocolate bars at Walgreens this week. Looks sweet…make sure you do this deal at the Beauty Counter with an equally sweet cashier. 181st & Powell, here I come!